Automobiles just like any other machine requires regular up keep and servicing. In case proper care is not taken then your vehicles performance may start to decrease and may cost you more in the long run. This is the main reason why car servicing is essential these days. In case regular servicing is done it helps your vehicle maintain its performance level and efficiency for a longer period of time. In order to take care of your car you should not always depend on garage mechanics always for car servicing. It is important that all motorists possesses some knowledge regarding basic car check. With this motorists will be able to perform some basic regular checks of the car on their own. You will also be able to save lot of money by undertaking DIY safety checks. With this you will also ensure safety. Checking out various things like engine oils, tire pressure, refrigerant levels, etc will help in keeping the car running efficiently for a long time. All of these checks are very important as these checks before every ride will be able to save your car and yourself from lot of problems. In case any of these elements cause a problem then you might have to face some serious issues with the car. Regular up keeping of your car will help in avoiding expensive repairs and make it fuel efficient. With this you will to a certain extent be able to cut done on fuel expenses. In case you really care for your car then you need to book an appointment with a servicing company so that you can get you car servicing done at least once in six months. Majority of the servicing companies offer three kinds of services. These three types of services are oil servicing, interim up keeping servicing and complete up keeping services. You must select car servicing based on your requirements and car running pattern. Do you drive your car daily? Then you need to check out a complete up keeping services. It is always good for you to select a complete service but then this service can be expensive in comparison to others. Hence it is essential for you to keep your budget in mind. 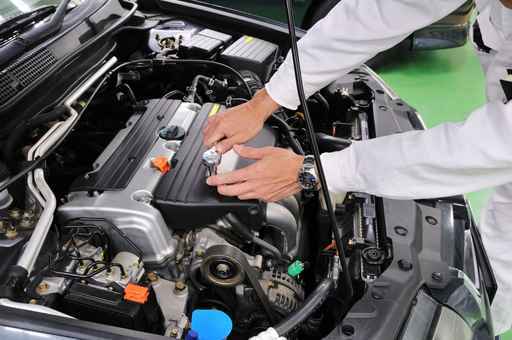 One of the basic auto services offered by auto servicing companies are oil servicing. Some of the basic services include oil checking and oil filter replacement, headlights checking, tire checking and exhaust checking. Daily drivers can also select to go for interim services if complete upkeep service seems to be costly for you. Usually average interim sessions comprise of twenty five to thirty performance checks on your car. Annual upkeep services provide around more than fifty various kinds of checks to keep your car running. These are the services that keep your car running efficiently and road safe. Selecting a genuine and reliable professional company is not a simple job. You need to put in some efforts so that you can search for such professional company. In order to search for the best company you can ask friends, relatives and neighbors for referrals. One more thing that you can do is to browse the internet. This can surely help you to search for a quality professional. But for finding a professional company you will have to research well. Just make sure that you do not hire the company that you come across for the first. Rather make it a point that you compare various companies their services and price. With this you will be able to select right car servicing company for your needs. This blog has been written for reader to get useful information about car servicing. If you want to know more then let’s go into the details to get more information.